Key difference: If a person is handicapped, it means that his abilities to function mentally or physically are constrained. Impairment refers to the weakening of, or the damage caused to a function. Handicap means the limitation imposed on a function, due to which optimum efficiency is hampered. Simply put, handicap is any obstruction that doesn't allow a person to carry out his day-to-day activities normally. Generally, handicap is associated with humans, but it is also applicable to inanimate things such as sports. A handicap race, golf handicap, chess handicap, tennis handicap, etc. are the prime examples of this application. Handicap in humans can take place in several body parts, but the most common handicap is of the limbs. Usually, such a handicap is the result of an amputation surgery undergone by the patient, to prevent the infection from spreading to other body parts. Other than the limbs, handicap can be caused to the fine bones, or the gross motor ability of a person. These sorts of handicap directly affect the movements of a person. Which is why in such cases, the patients have to be bed-ridden all the time, or use a wheel chair for assisitance in locomotion. Impairment is the condition that spawns disability in a person. Basically, impairment means the reduction caused to the strength or value of the affected body part. Brutally hindering the competence of a person, impairment can also be called as the nascent stage of disability. Impairments are not always reversible, but they can be contained using various treatments. Usually, doctors go about treating patients suffering from impairments by apprising them of the worst-case scenario, which would be disability. During such a treatment, doctors often adopt a damage-limitation approach, which enables them to keep the impairment under control and curb it successfully. 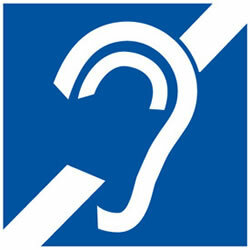 Most common impairments that one can notice around are speech impairment, vision impairment, hearing impairment, etc. Persons suffering from such impairments are often advised the remedy of using impairment cancelling devices such as a hearing aid for hearing impairment, eye glasses/lens for visual impairment, etc. 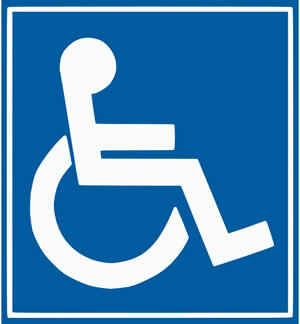 If a person is handicapped, it means that his abilities to function mentally or physically are constrained. Impairment refers to the weakening of, or the damage caused to a function. Handicap is the result of impairment. Impairment precedes disability and leads to it more often than not. Handicap of the limbs, or handicap of the bones, or handicap of motor skills, etc. Impairment concerning vision, speech, or hearing abilities, etc. of a person.